Because word of mouth is the primary source of new customers, we strive to always deliver the best products we can, so that our users will not only become longtime customers, but will recommend CBD Pure to their family and friends as well. We greatly appreciate all the gracious support, complimentary emails, and testimonials we’ve received from CBD Pure users from all over the country, and all walks of life. We are fortunate to have a very supportive (and vocal) base of customers who help us grow our company. In response to numerous suggestions and requests from our clientele, we are announcing the launch of our CBD Affiliate Referral Program. If you are not familiar with how an affiliate program works, the details are pretty straightforward. 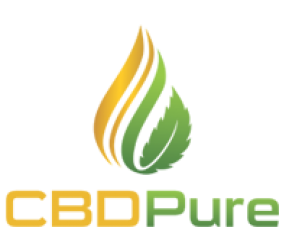 People who wish to promote products, like our CBD Pure line, sign up for free for an affiliate program that pays them a commission anytime a customer that they referred makes a purchase. In this way, people are rewarded for sharing their experiences with CBD Pure with others. For us, that means rewarding generously those of you that have helped grow our company through your referrals. For anyone that signs up for our CBD Affiliate program, we will provide a “link” that they can share online. Any future customer that clicks that link and purchases from our website will be result in a one-time commission of 40% being paid out to the person who referred them. Sign up is free, and we provide all the information necessary to get started, even if you have a limited knowledge of online sales or technology. Just like our CBD Pure sales and support team, if you have any questions about our new affiliate program, a helpful team member is just a click or an email away! Why is CBD Testing Important? 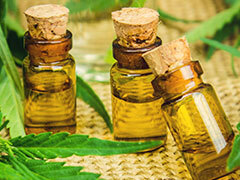 Who is using CBD Oil? © Copyright 2019. CBDPure, All Rights Reserved.